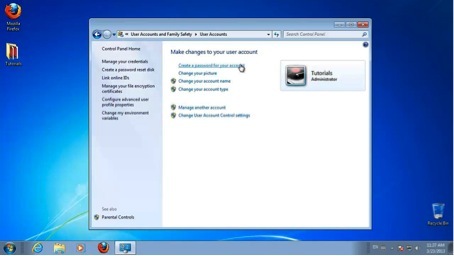 In this tutorial you will learn how to change password in Windows. 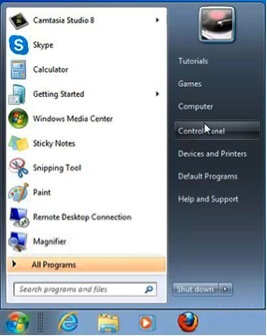 Step 1: Click “Start” and choose Control Panel. 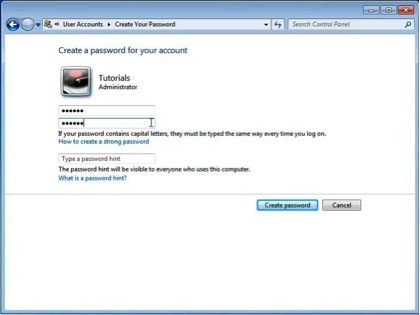 Step 3: In the User Account window, select “Change your password” if you have one, or “Create a password for your account.” If you don’t. Step 4: Inser your current password if you have one, or enter and confirm the new one if you don’t. You can give yourself a password hint if you prefer. 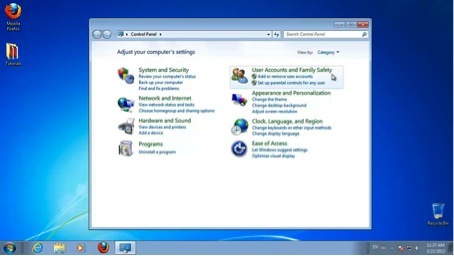 Keep in mind the password hint will be visible to all other computer users. Result: You have sucessfully created/changed your password.